Motown Records, also known as Tamla-Motown, outside of the United States, is a record label originally based out of Detroit, Michigan ("Motor City"), where it achieved widespread international success. Motown played an important role in the racial integration of popular music as the first record label owned by an African American and primarily featuring African American artists to regularly achieve crossover success and have a widespread, lasting effect on the music industry. Incorporated on January 12, 1959, by Berry Gordy, Jr. as Tamla Records, Motown has, over the course of its history, owned or distributed releases from more than 45 subsidiaries in varying genres. It is most famous for its releases in the musical genres of R&B, hip hop, pop, and soul. Motown left Detroit for Los Angeles in 1972, and remained an independent company until 1988, when Gordy sold the company to MCA. Now headquartered in New York City, Motown Records is today a subsidiary of the Universal Motown Records Group, itself a subsidiary of Universal Music Group. In the 1960s, Motown and its soul-based subsidiaries were the most successful proponents of what came to be known as The Motown Sound, a style of soul music with distinctive characteristics, including the use of tambourine along with drums, a prominent and often melodic bass line played by the electric bass guitar, a distinctive melodical and chord structure, and a call and response singing style originating in gospel music. Motown founder Berry Gordy, Jr. got his start as a songwriter for local Detroit acts such as Jackie Wilson and the Matadors. Wilson's single "Lonely Teardrops," co-written by Gordy and Roquel Billy Davis, became a huge success; however, Gordy did not feel he made as much money as he deserved from this and other singles he wrote for Wilson. He realized that the more lucrative end of the business was in producing records and owning the royalties. In 1959, Billy Davis and Berry Gordy's sisters Gwen and Anna started Anna Records. Davis and Gwen Gordy wanted Berry to be the company president, but Berry wanted to strike out on his own. Therefore, in 1959, he started Tamla Records, with an $800 loan from his family. Gordy originally wanted to name the label "Tammy" Records, after the popular song from the film, Tammy and the Bachelor. When he found the name was already in use, he decided on Tamla instead. Gordy's first signed act was The Matadors, a group he had written and produced songs for, who changed their name to The Miracles when Tamla signed them. The Miracles lead singer Smokey Robinson became the vice president of the company (and later named his daughter "Tamla" and his son "Berry" out of gratitude to Gordy and the label). Many of Gordy's family members, including his father Berry, Sr., brothers Robert and George, and sister Esther, had instrumental roles in the company. By the middle of the decade, Gwen and Anna Gordy had joined the label in administrative positions as well. In 1959, Gordy purchased the property that would become Tamla's "Hitsville U.S.A." studio. The photography studio located in the back of the property was modified into a small recording studio and the Gordys moved into the second floor living quarters. Within a few years, Motown would occupy several neighboring houses with administrative offices, mixing, mastering and rehearsal studios. 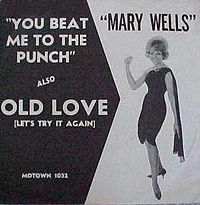 Among Tamla's early artists were Mable John, Barrett Strong and (on the Motown label) Mary Wells. Tamla's first release was Marv Johnson's "Come to Me" in 1959. Its first hit was Barrett Strong's "Money (That's What I Want)" (1959), which made it to #2 on the Billboard R&B charts; its first #1 R&B hit was "Shop Around" by the Miracles in 1960. "Shop Around" peaked at #2 on the Billboard Hot 100 charts, and was Motown's first million-dollar selling record. Gordy launched Motown Records as a sister label in 1960. Because of the "Motown" name's association with "Motor City" Detroit, the blanket record company under which both Motown Records and Tamla Records operated was incorporated as "Motown Record Corporation." A year later, The Marvelettes scored Tamla's first US #1 pop hit, "Please Mr. Postman." By the mid-1960s, the label, with the help of songwriters and producers such as Robinson, William "Mickey" Stevenson, Brian Holland, Lamont Dozier, and Norman Whitfield, was a major force in the music industry. In the 1960s (from 1961 to 1971), Motown had 110 Top Ten hits. Artists such as Stevie Wonder, Marvin Gaye, Diana Ross & the Supremes, The Four Tops, and The Jackson 5, were all signed to Motown labels. The company operated several labels in addition to the Tamla and Motown imprints. A third label, which Gordy named after himself, featured The Temptations and Martha and the Vandellas. A fourth, "V.I.P.," released recordings by The Velvelettes and The Spinners, and a fifth, "Soul," featured Jr. Walker & the All Stars and Gladys Knight & the Pips (who were the first act to have been successful before joining Motown, as "The Pips" on Vee-Jay). Many more Motown-owned labels released recordings in other genres, including Workshop Jazz (jazz), Mel-o-dy (country), and Rare Earth (rock). Under the slogan "The Sound of Young America," Motown's acts were enjoying widespread popularity among black and white audiences alike. In Britain, Motown's records were released on various labels: At first London (only the Miracles' "Shop Around"/"Who's Lovin' You" and "Ain't It Baby"), then Fontana ("Please Mr. Postman" by the Marvelettes was one of four), Oriole American ("Fingertips—Pt. 2" by Little Stevie Wonder was one of many), EMI's Stateside ("Where Did Our Love Go" by the Supremes and "My Guy" by Mary Wells were Motown's first British top-twenty hits), and finally EMI's Tamla-Motown ("Ain't That Peculiar" by Marvin Gaye among many others). Artist development was a major part of Motown's operations. The acts on the Motown label were fastidiously groomed, dressed and choreographed for live performances. Motown artists were advised that their breakthrough into the white popular music market made them ambassadors for other African American artists seeking broad market acceptance, and that they should think, act, walk and talk like royalty, so as to alter the less-than-dignified image commonly held by white Americans in that era of black musicians. Given that many of the talented young artists had been raised in housing projects and were short on social and dress skills, this Motown department was not only necessary, it created an elegant style of presentation long associated with the label. The artist development department specialized primarily in working with younger, less experienced acts; experienced performers such as Junior Walker and Marvin Gaye were exempted from artist development classes. Many of the young artists participated in an annual package tour called the "Motortown Revue," which was popular first on the "chitlin circuit," and later around the world. The tours gave the younger singers a chance to hone their performance and social skills and also to learn from more experienced artists. Motown's music was crafted with the same ear towards pop appeal. Berry Gordy used weekly quality control meetings, held every Friday morning, and veto power to ensure that only the very best material and performances the company came up with would be released. The test was that every new release needed to "fit" into a sequence of the top 5 selling pop singles of the week. As a result, several tracks which later became critical and commercial favorites were initially rejected by Gordy; the two most notable examples being a pair of Marvin Gaye songs, "I Heard It Through the Grapevine" and "What's Going On." In several cases, producers would re-work tracks in hopes of eventually getting them approved at a later Friday morning meeting, as producer Norman Whitfield did with "I Heard It Through the Grapevine" and The Temptations' "Ain't Too Proud to Beg." Many of Motown's best-known songs, such as all of the early hits for The Supremes, were written by the songwriting trio of Holland-Dozier-Holland (brothers Brian & Eddie Holland and colleague Lamont Dozier). 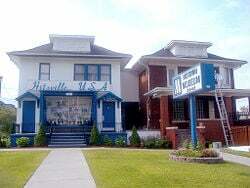 Other important producers and songwriters at Motown's Hitsville U.S.A. recording studio and headquarters included Norman Whitfield & Barrett Strong, Nickolas Ashford & Valerie Simpson, Frank Wilson, Motown artists Smokey Robinson, Marvin Gaye and Stevie Wonder, and Gordy himself. In addition to the songwriting prowess of the writers and producers, one of the major factors in the widespread appeal of Motown's music was Gordy's practice of using a highly select and tight-knit group of studio musicians, collectively known as "The Funk Brothers," to record the instrumental or "band" tracks of the Motown songs. Among the studio musicians responsible for the "Motown Sound" were keyboardists Earl Van Dyke, Johnny Griffith, and Joe Hunter; guitarists Joe Messina, Robert White, and Eddie Willis; percussionists Eddie "Bongo" Brown and Jack Ashford; drummers Benny Benjamin, Uriel Jones, and Richard "Pistol" Allen; and bassists James Jamerson and Bob Babbitt. The band's career and work is chronicled in the 2002 documentary film Standing in the Shadows of Motown. After Holland-Dozier-Holland left the label in 1967 over royalty payment disputes, the quality of the Motown output began to decline, as well as the frequency with which its artists scored #1 hits. Norman Whitfield became the company's top producer, turning out hits for The Temptations, Marvin Gaye, and Gladys Knight & the Pips. In the meantime, Berry Gordy established Motown Productions, a television subsidiary which produced TV specials for the Motown artists, including TCB with Diana Ross & the Supremes and The Temptations, Diana! with Diana Ross, and Goin' Back to Indiana with The Jackson 5. Motown had established branch offices in both New York City and Los Angeles during the mid-1960s, and by 1969 had begun gradually moving some of its operations to Los Angeles. The company moved all of its operations to Los Angeles after 1972, with a number of artists, among them Martha Reeves, The Four Tops, Gladys Knight & the Pips, and Motown's Funk Brothers studio band, either staying behind in Detroit or leaving the company for other reasons. The main objective of Motown's relocation was to branch out into the motion picture industry, and Motown Productions got its start in film by turning out two hit vehicles for Diana Ross: the Billie Holliday biographical film Lady Sings the Blues (1972), and Mahogany (1975). Other Motown films would include Thank God It's Friday (1978), The Wiz (1978), and Berry Gordy's The Last Dragon (1985). Despite losing Holland-Dozier-Holland, Norman Whitfield, and a number of its other hitmakers by 1975, Motown still had a number of successful artists during the late 1970s and 1980s, including Lionel Richie and The Commodores, Rick James, Teena Marie and DeBarge. By the mid-1980s, Motown was losing money, and Berry Gordy sold his ownership in Motown to Music Corporation of America (MCA) and Boston Ventures in June 1988 for $61 million. In 1989, Gordy sold the Motown Productions TV/film operations to Motown executive Suzanne de Passe, who renamed the company de Passe Entertainment and runs it to this day. During the 1990s, Motown was home to successful recording artists such as Boyz II Men and ex-New Edition member Johnny Gill, although the company itself remained in a state of turmoil. A revolving door of executives were appointed by MCA to run the company, beginning with Berry Gordy's immediate successor, Jheryl Busby. Busby quarreled with MCA, alleging that the company did not give Motown's product adequate attention or promotion. In 1991, Motown sued MCA to have its distribution deal with the company terminated, and began releasing its product through PolyGram. Polygram purchased Motown from Boston Ventures three years later. In 1994, Busby was replaced by Andre Harrell, the entrepreneur behind Uptown Records. Harrell served as Motown's CEO for just under two years, leaving the company after receiving bad publicity for being inefficient. Danny Goldberg, who ran PolyGram's Mercury Records group, assumed control of Motown, and George Jackson served as president. By 1998, Motown had added stars such as 702, Brian McKnight, and Erykah Badu to its roster. In December of 1998, PolyGram was acquired by Seagram, and Motown was folded into the Universal Music Group. Ironically, Seagram had purchased Motown's former parent MCA in 1995, and as such Motown was reunited with many of its MCA corporate siblings (Seagram had in fact, hoped to build a media empire around Universal, and started by purchasing PolyGram). Universal briefly considered shuttering the floundering label, but instead decided to restructure it. Kedar Massenburg, a producer for Erykah Badu, became the head of the label, and oversaw successful recordings from Badu, McKnight, Michael McDonald, and new Motown artist India.Arie. In 2005, Massenburg was replaced by Sylvia Rhone, former CEO of Elektra Records. Motown was merged with Universal Records to create the Universal Motown Records Group, an umbrella division of Universal Music which oversees the releases and catalogs for Motown, Universal, Blackground, Republic, Cash Money, Casablanca, and other labels. Motown's current roster includes R&B singers India.Arie, Erykah Badu, Mýa, Kem, Yummy Bingham, pop singer Lindsay Lohan, reggae singers Damian and Stephen Marley, and rappers Trick Trick and Nick Cannon. Diana Ross, Smokey Robinson, Stevie Wonder, and The Temptations had remained with the label since its early days (although both Ross and the Temptations each briefly recorded for other labels for several years). Ross left Motown in 1981, but returned in the 1990s, Robinson left the label briefly in 1999, and the Temptations in 2004. Wonder is today the only artist from Motown's "classic" period still on the label. Modern Motown releases feature a new stylized "M" logo for the label; reissues of classic Motown material continue to use the mod "M" logo first introduced in 1965. Motown Records: Established 1960, Motown was and remains the company's main label for mainstream R&B/soul music (and, today, hip hop music as well). The label's numbering system was combined with those of Tamla and Gordy in 1982, and the label (and company) was purchased by MCA in 1988. Notable Motown artists have included Mary Wells, Diana Ross & The Supremes, The Jackson 5, Boyz II Men, and Erykah Badu. Tamla Records: Established 1959; Tamla was a primary subsidiary for mainstream R&B/soul music. Tamla is actually the company's original label; Gordy incorporated Tamla Records several months before establishing the Motown Record Corporation. The label's numbering system was combined with those of Motown and Gordy in 1982, and the label was merged with Motown in 1988. Notable Tamla artists included Smokey Robinson & The Miracles, Marvin Gaye, and Stevie Wonder. Gordy Records: Established 1961, Gordy was also a primary subsidiary for mainstream R&B/soul music. Originally known as Miracle Records (slogan: "If It's a Hit, It's a Miracle"), the name was changed in 1962 to avoid confusion with the Miracles singing group. The label's numbering system was combined with those of Motown and Tamla in 1982, and the label was merged with Motown in 1988. Notable Gordy artists included The Temptations, Martha Reeves & the Vandellas, Rick James, and DeBarge. Gordy Records slogan: "It's What's in the Grooves that Counts." Check-Mate Records: Short-lived (1961-1962) secondary R&B/soul subsidiary, purchased from Chess Records. Notable artists included David Ruffin and The Del-Phis (later Martha & the Vandellas). Soul Records: Established 1964, Soul was a secondary R&B/soul subsidiary for releases with less of a pop feel and/or more of a traditional soul/blues feel. Notable Soul artists included Jr. Walker & the All-Stars, Gladys Knight & the Pips, and Jimmy Ruffin. The label was dissolved in 1978. V.I.P. Records: Established 1964, V.I.P. was a secondary R&B/soul subsidiary. Notable artists included Shorty Long, The Velvelettes, The Spinners, and The Elgins. The label was dissolved in 1974. Mo-West Records: Mo-West was a short-lived (1971-1973) subsidiary for R&B/soul artists based on the West Coast. Shut down when the main Motown office moved to Los Angeles. Notable artists included G.C. Cameron, Syreeta Wright, and Los Angeles DJ Tom Clay. Divinity Records: Short-lived (1961-1963) gospel subsidiary. Rare Earth Records: Established in 1969 after the signing of Rare Earth (after whom the label was named), Rare Earth Records was a subsidiary focusing on rock music by white artists. Notable acts included Rare Earth, R. Dean Taylor, The Pretty Things, and Stoney & Meatloaf. The label also was the subsidiary to house the first white band signed to Motown: The Rustix. The label was dissolved in 1976, and its acts moved to the Prodigal subsidiary. Weed Records: A very short-lived subsidiary. Only one release, Chris Clark's 1969 CC Rides Again album, was issued. The name "Weed Records" is now owned by the Tokyo-New York based Wee Drecords. Morocco Records: Meaning "Motown Rock Company," Morocco was a rock music subsidiary for white artists. Active from 1983 to 1984, it was a short-lived attempt to revive the Rare Earth Records concept. Chisa Records: Motown released output for Chisa, a label owned by Hugh Masekela, from 1969 to 1972. Ecology Records: A very short-lived label owned by Sammy Davis, Jr. and distributed by Motown. Only release: Single, "In My Own Lifetime"/"I'll Begin Again," by Davis in 1971. Gull Records: A UK-based label still in operation, Motown released Gull's output in the U.S. in 1975. Gull had Judas Priest on its roster in 1975, but their LP Sad Wings of Destiny, intended for release by Motown in the U.S., was issued after the Motown/Gull Deal had fallen through. Smokey Robinson & the Miracles, c. 1962. From left to right: Smokey Robinson, Claudette Rogers Robinson, Ronald White, Pete Moore, and Bobby Rogers. Cogan, Jim, and William Clark. Temples of Sound: Inside the Great Recording Studios. San Francisco: Chromicle Books, 2003. ISBN 0-811-83394-1. Collins, Lisa Gail, and Margo Natalie Crawford. New Thoughts on the Black Arts Movement. New Brunswick, NJ: Rutgers University Press, 2006. ISBN 0-813-53695-8. This page was last modified on 25 October 2018, at 15:27.